UNITED NATIONS, Oct 26 2016 (IPS) - After 25 years of voting against a United Nations resolution condemning the United States (U.S.) embargo on Cuba, the U.S. Wednesday chose for the first time to abstain from voting. An overwhelming 191 UN member states voted for the resolution, with only Israel joining the United States in abstention. The UN General Assembly met for its annual vote on a resolution to end sanctions against Cuba imposed in the 1960s at the height of the Cold War. The United States has consistently voted against the resolution, but on Wednesday United States Ambassador Samantha Power announced its historic change in voting. “After 50-plus years of pursuing the path of isolation, we have chosen to take the path of engagement,” said Power whose statement was met with applause. Power highlighted the significant progress made by the Cuban government in the protection of its people including the reduction of its child mortality rate and children’s access to education. Power also described Cuba’s essential role during the Ebola outbreak in 2014 when the Caribbean nation was one of the first countries to step forward and send over 200 health professionals to the hardest hit areas in West Africa. Cuban Foreign Minister of Foreign Affairs Bruno Rodriguez Parrilla welcomed the vote but noted that the embargo against Cuba is still in place and continues to harm Cubans and the nation’s economic development. “Human damages caused by the blockade are incalculable,” -- Cuban Foreign Minister of Foreign Affairs Bruno Rodriguez Parrilla. “Human damages caused by the blockade are incalculable,” he told the General Assembly, estimating that the U.S. embargo has cost the island over $125 billion. Though the U.S. has eased travel and business restrictions, most laws and regulations that implemented the blockade are still in force. For instance, the existing Cuban Democracy Act of 1992 (CDA) prohibits foreign-based subsidiaries of U.S. companies from trading with Cuba. 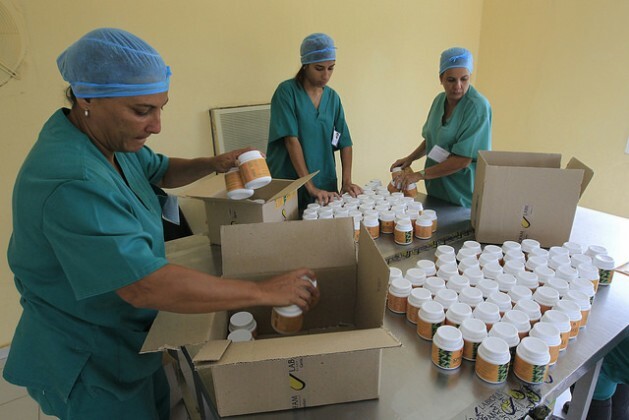 This has limited the country’s access to essential medicine and medical equipment which has “wreaked havoc” on Cuba’s health care system. Parrilla pointed to the case of U.S. company Medtronic which was unable to sell deep brain stimulators to Cuban companies to treat patients suffering from Parkinson’s disease and other neurological disorders. He also noted that Cuban medical efforts deployed during the Ebola epidemic were hampered when the British Standard Chartered Bank refused to make financial transfers between the World Health Organisation and Cuban doctors. Though U.S. banks can now legally process Cuban transactions, many banks fear reprisal from the U.S. having had received enormous fines for violating sanctions in the past. In 2012, ING Bank was fined $619 million, HSBC $1.9 billion and BNP Paribas $8.83 billion. Even after December 2014 when President Obama first announced his aim to restore full relations with Cuba, France’s Credit Agricole was fined $787 million for violating U.S. sanctions. “Lifting the blockade is key to be able to advance towards the normalisation of relations with the United States,” said Parrilla. Power echoed similar sentiments, urging for the two nations to continue to engage despite differences. “Today, we will take another small step to be able to do that. May there be many, many more—including, we hope, finally ending the U.S. embargo once and for all,” she concluded. However, abstaining from the resolution does not mean that the U.S. agrees with all of the Cuban government’s policies and practices, Power said. “We are profoundly concerned by the serious human rights violations that the Cuban government continues to commit with impunity against its own people,” she told delegates. According to the Cuban Commission for Human Rights and National Reconciliation (CCDHRN), more than 8,600 government opponents and activists were detained in 2015. Freedom of expression and access to information also continues to be limited. Power also rejected certain elements in the resolution, including that the embargo violated the UN charter and international law.